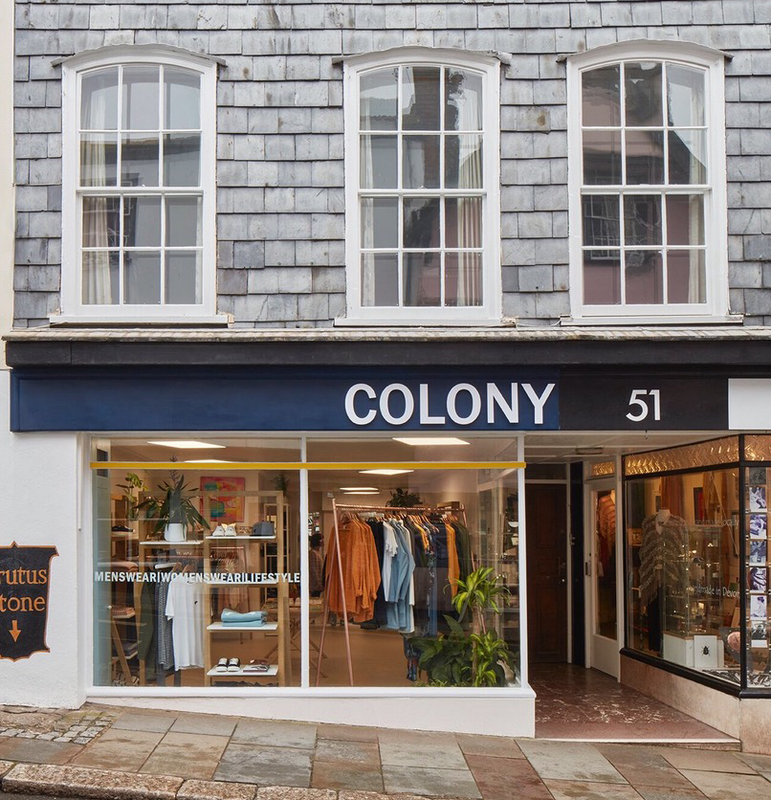 Colony store is situated in the heart Totnes high street in Devon. Totnes is said to be one of the most eccentric towns in the UK, local people believe is it the centre of the universe! Its a popular tourist destination for many visiting the South Hams. Claire Shaw launched Colony in 2015 and prides herself on creating a friendly boutique stocking small independent brands. Colony, recently featured in the Telegraph and selected Trouva approved boutique features beautiful garments for both genders. The style is ‘Contemporary’ Claire prefers understated classic cuts and seeks out beautiful bold gender neutral colours. Claire has recently started to concentrate on emerging ethically inspired British brands with sustainability as a core belief, she is highly supportive of local designers and artisans too.